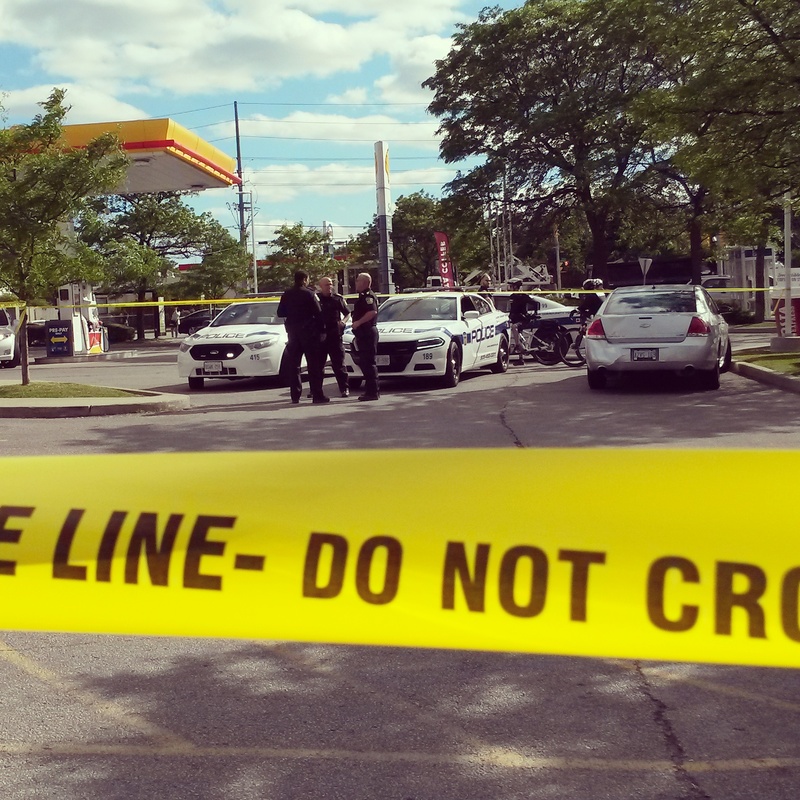 An elderly woman is in hospital with critical injuries after she was struck by a vehicle at the Shell gas station across from Sheridan Mall Wednesday. The incident took place at Erin Mills Pkwy. and Fowler Dr. around 4:30 p.m.
Peel Paramedics treated the woman, 76, and transported her to Credit Valley Hospital. The woman was airlifted to a trauma centre, said Supt. Lawrence Saindon. At least four police cruisers were on scene, where a silver Chevrolet was taped off near the tire inflator. There’s no word yet on charges. Anyone with information is asked to phone (905) 453-2121 ext. 3710 or Crime Stoppers 1-800-222-8477.